These look really weird to me, the face especially. Probably done by American artists trying to ape the Anime style of the game. Gee Funko, what else are you doing that's stupid and terrible? I will take the Wily because I want a Wily buy the MM figures look terrible. I don't think they're terrible for $10, I like the Wily a lot, but the different Mega Man colors should have come with a shot piece that's from that guy or something to make them enticing. The best thing going for them is the $10 pricepoint. 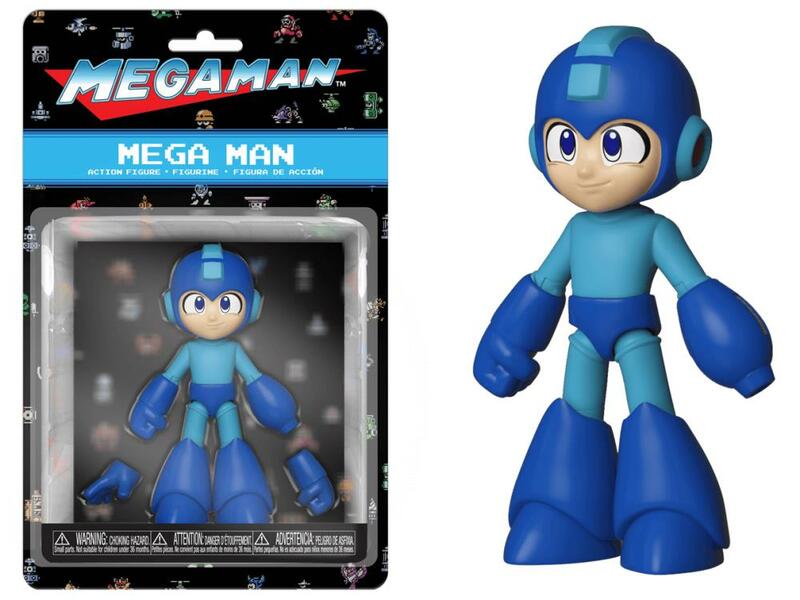 Aside from that they are kind of meh and I already have more money into better looking Mega Man figs. That Wily is good but will definitely be the hardest to find. Not bad. Still prefer the bandai kits or the newer 66 action dash. But this has a nice "retro games" feel to it that fits for classic megaman from 1-5 at least. Light and Wily I'll probably pick up. Might pass on the others since I have the older kits already. They look like they'll be comparable to Funko's Disney Afternoon offerings which despite labeling them 3.75" dwarf some of my Marvel Universe and other assorted figs.